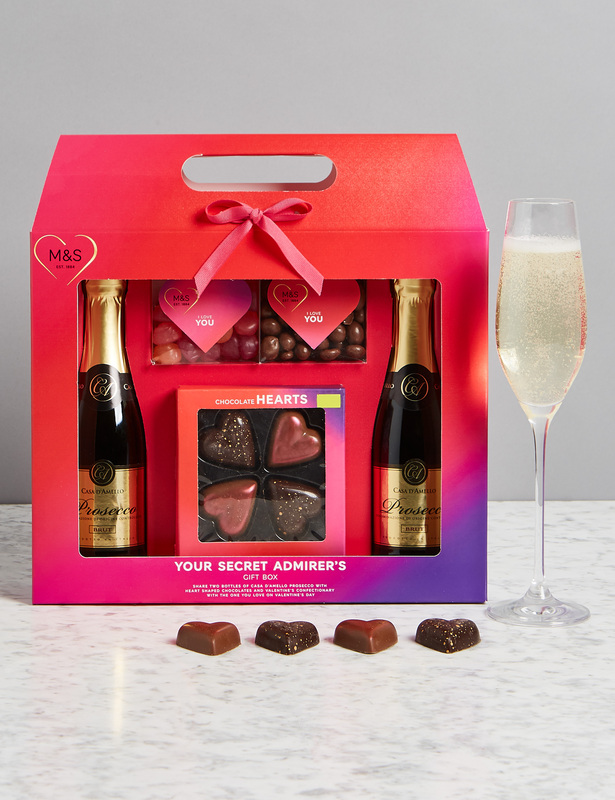 When it comes to planning your Valentine festivities, it can sometimes feel that everything is too fancy, too expensive, and a bit too cliched. 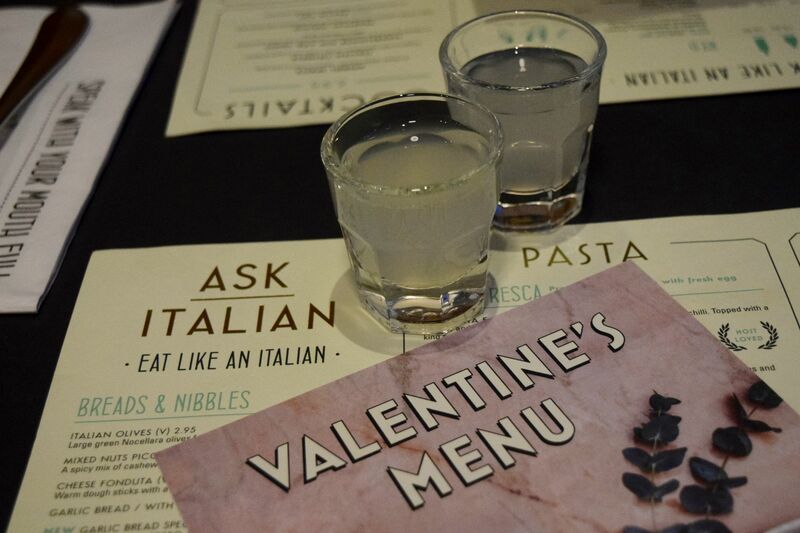 So, when I caught sight of Ask Italian’s Valentine’s Day menu it sounded great – a yummy menu, convenient city-centre location and affordable price, I mean, what’s not to love? So, after a busy day working away in Edinburgh we headed over to the West End location. Located right off Princes Street on Shandwick Place, it’s a perfect spot to enjoy a casual meal when you’re in the city centre. Right in time for the big day, Ask Italian have released a capsule menu, which offers up three courses and a glass of prosecco for £21.95 each – bargain! Since it had been one of those days where you’re so busy there’s not even time to think about lunch, let alone go out and enjoy something. By the time we reached Ask Italian we were suitably famished. Honestly, when it comes to Italian, it’s hard to go far wrong, so we opted to share the Butterfly King Prawns and the Mushrooms al Forno. Both arrived at the table positively sizzling – and one we had piled on some parmesan, we tucked right in. 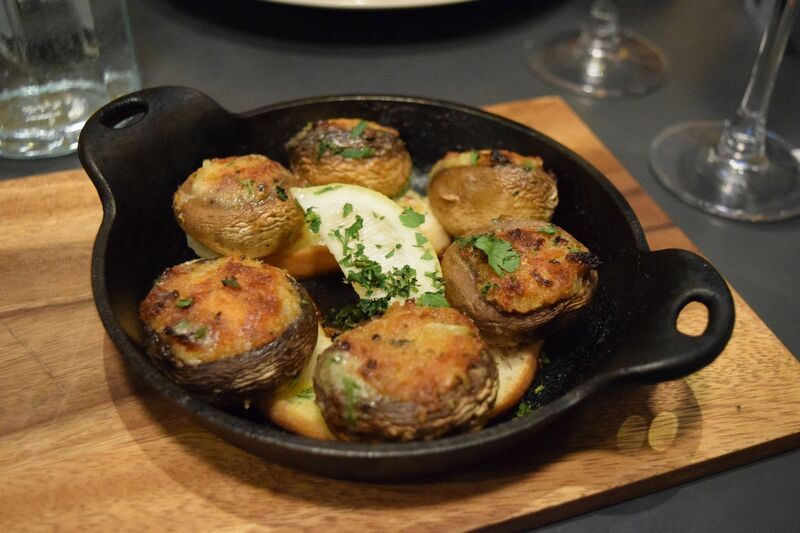 Both the prawns and mushrooms came served up on top of crisp slices of garlic bread, and they were just what we needed after a hectic day. The garlicky prawns were juicy and full of garlicky flavour, whilst the mushrooms came stuffed with cheese. 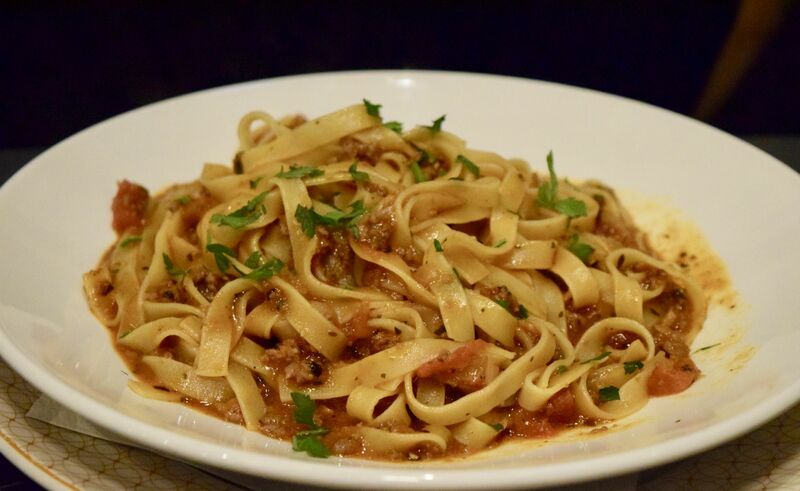 We couldn’t resist trying a classic like the Fettuccine Bolognese – a real classic, it was a delightful mix of rich tomato rags and mince. To give it a real taste of authenticity, Ask Italian serve up the dish with fettuccine, or with spaghetti if you’d prefer. I opted for the Penne al Pollo Della Cast, which came served with a fresh leafy salad. 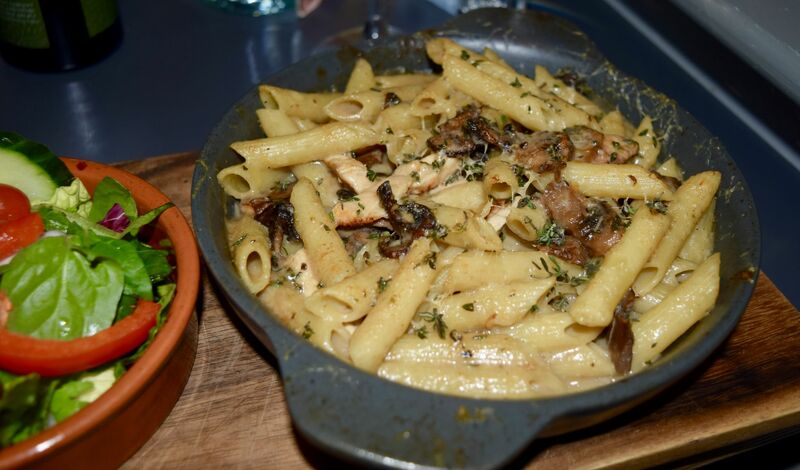 A house favourite, the mix of chicken, mushrooms and pasta came bubbling away in a cream white wine sauce. It was just the kind of thing I wanted to enjoy on a freezing Edinburgh night! The mix of fresh salad with such a rich dish was delicious, and the white wine and cream sauce felt incredibly decadent to enjoy. Even though we were stuffed from all the starters and mains, we couldn’t resist ordering some pudding! I opted for Chocolate Etna (£1.50 supplement), the most dramatic dessert in the lineup. 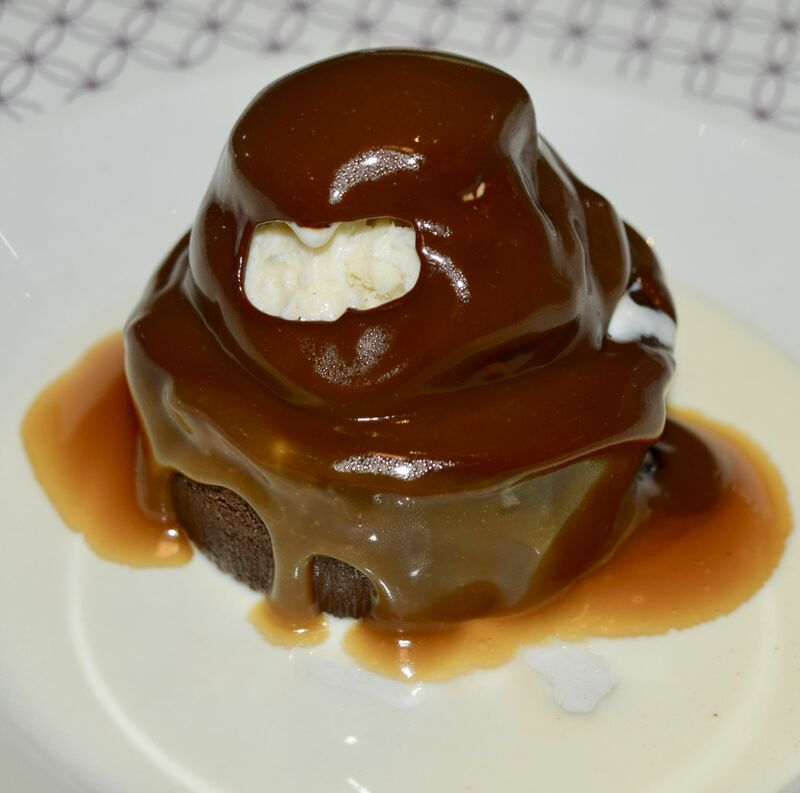 Presented as a chocolate globe, it was smothered in hot salted caramel sauce, which was used to reveal the creamy vanilla gelato and a surprisingly light chocolate sponge within. Hot, rich and incredibly decadent, it was a delicious end to the evening. 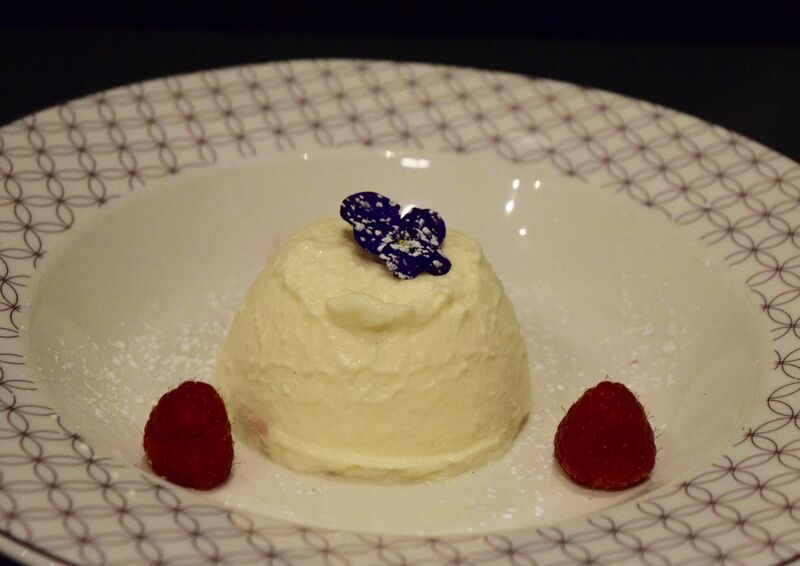 We also tried the Yoghurt Pana Cotta, which was a beautifully light and tangy way to end the meal. 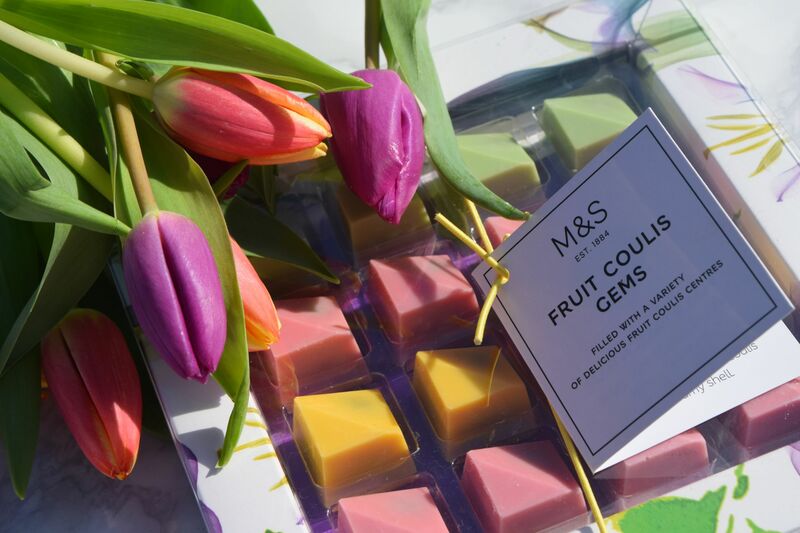 Served with berries and an edible flower, it was as delicious as it was pretty! 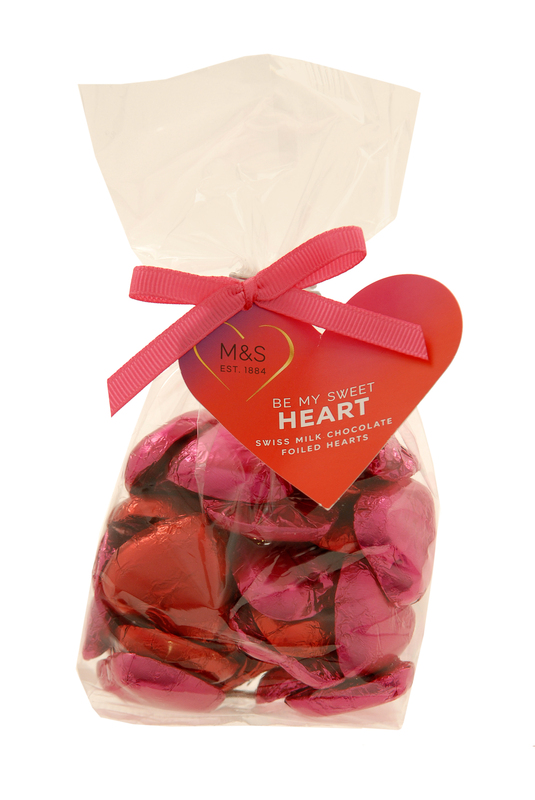 The Valentines menu will be available for a limited time, and you can see the whole menu here. St Andrews is always going to be a favourite spot for me – after spending years at school and at university there I feel like I know every little corner of the town. 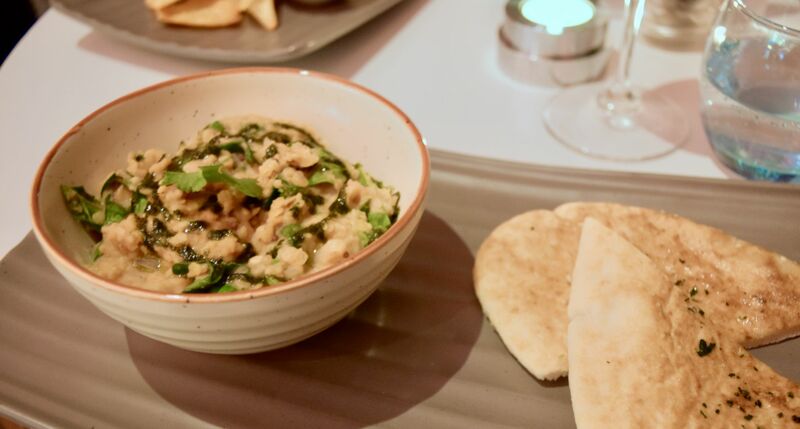 Over the past few years though, chain restaurants have started to creep in, and it can sometimes feel like a meal out has become a little ‘samey.’ So I positively jumped at the chance of dining in the gorgeous Kinnettles Hotel restaurant. 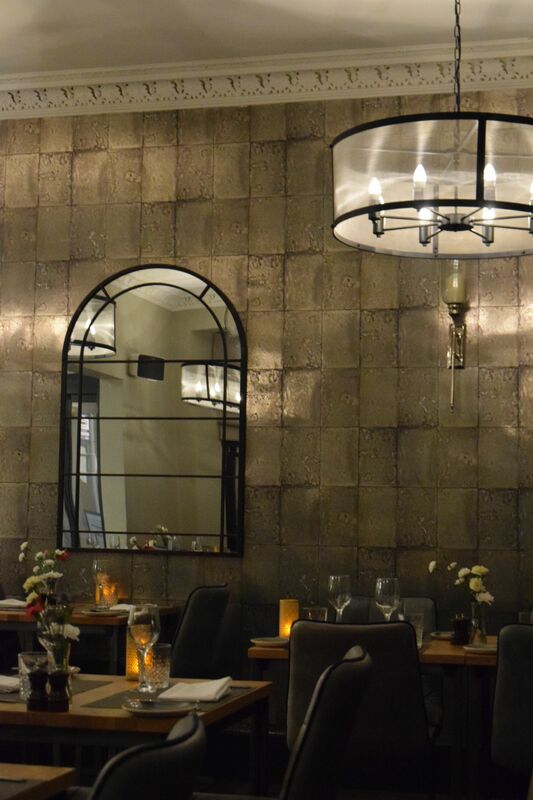 The dining room itself is stunning – a metallic feature wall glints in the light, and we kicked off supper with a couple of cocktails. Even though it was a Sunday night, I couldn’t resist an updated Old Fashioned. Bourbon was mixed with orange bitters, and a homemade, maple infused simple syrup. Wonderfully fragrant and delicious to sip on, it was a glorious choice! 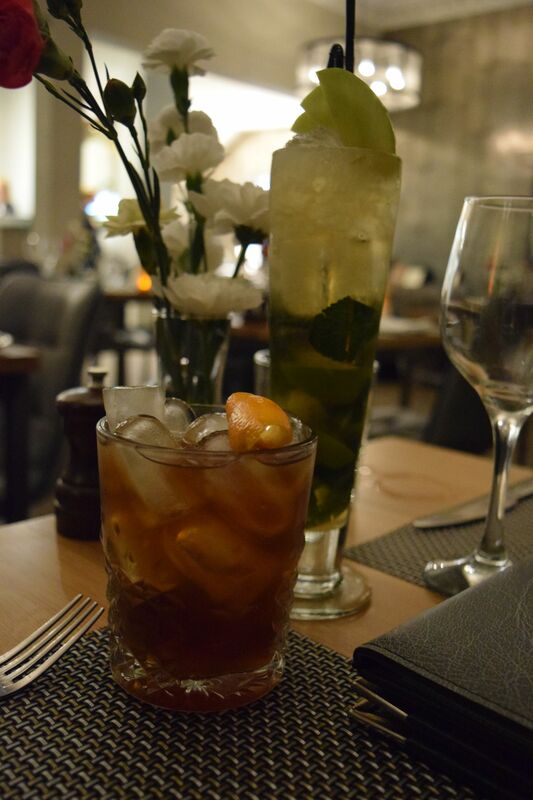 We also tried the elderflower mock mojito. Fresh and fruity, it was equally delicious, and you’d never know it was virgin! The meal kicked off with freshly homemade bread and sea-salted butter. Deliciously soft, these are the breads I always attempt to make at home, yet never quite get there. 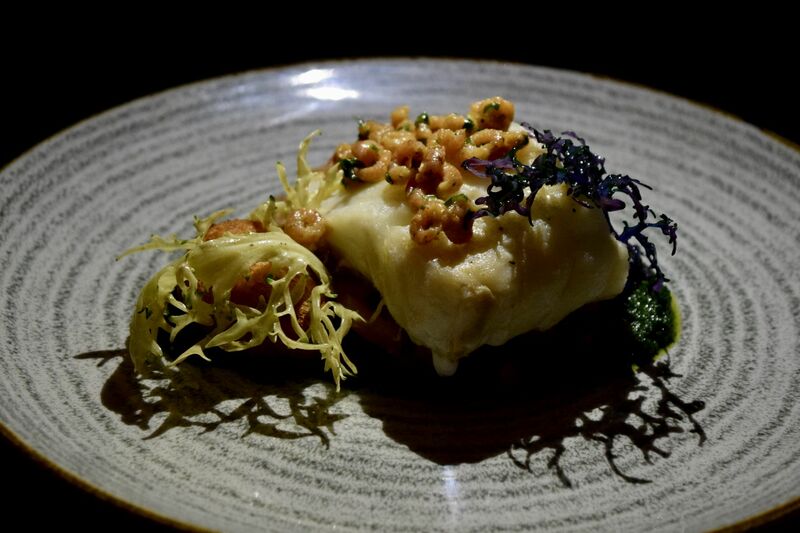 As we would find throughout the meal, Kinnettles only serve fresh, locally sourced produce, which is currently in season. It means that menus change regularly, and if you’re looking for a new lunch spot, they offer two courses for an incredible £12.95! We were then served up a couple of the most delicious amuse-bouche, which set the tone for the meal. First off a white bean dip served up with homemade crackers – rich in flavour we may have used the last of the bread to finish every last morsel. The second was a cod goujon, which was divine. The quality of the fresh cod was emphasised by the zesty lemon mayonnaise. 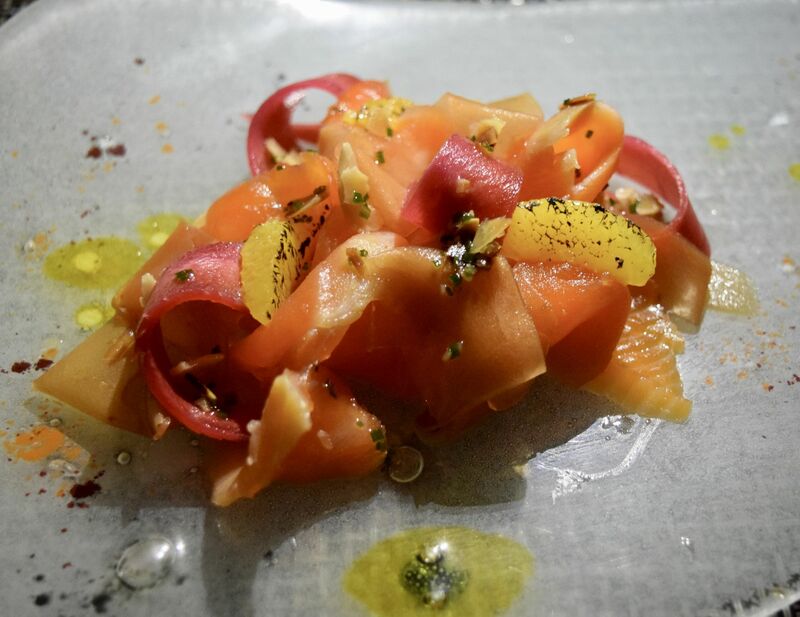 After tasting how delicious the cod was, I couldn’t resist ordering the Bergamot Cured Sea Trout with Pickled Heritage Carrots, Scorched Orange, Almond & Chive Dressing (£9). An absolute riot of colour and taste, I’ve been dreaming about this dish since Sunday! The sea trout was firm and flavourful, without erring on the too-fishy side, and the use of scorched orange was an absolute revelation! Bright, fruity with a good dose of crunch thanks to the heritage carrots, this was a real taste of summer! 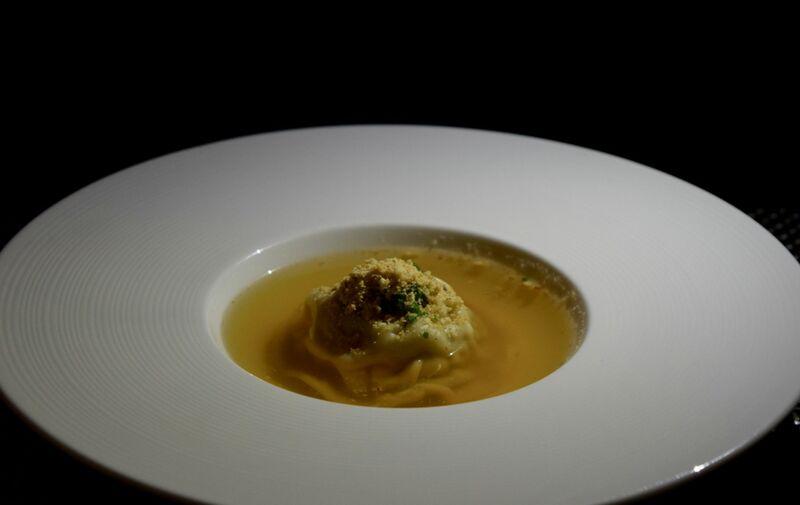 We also opted for the Ham Hock Raviolo, Burnt Tomato Consommé, Hazelnuts (£9). As well as looking incredibly dramatic, the consommé had a beautifully clear tomato flavour, whilst the ham hock gave the dish a rich, savoury depth. Main courses were equally dramatic, and thankfully, just as delicious. 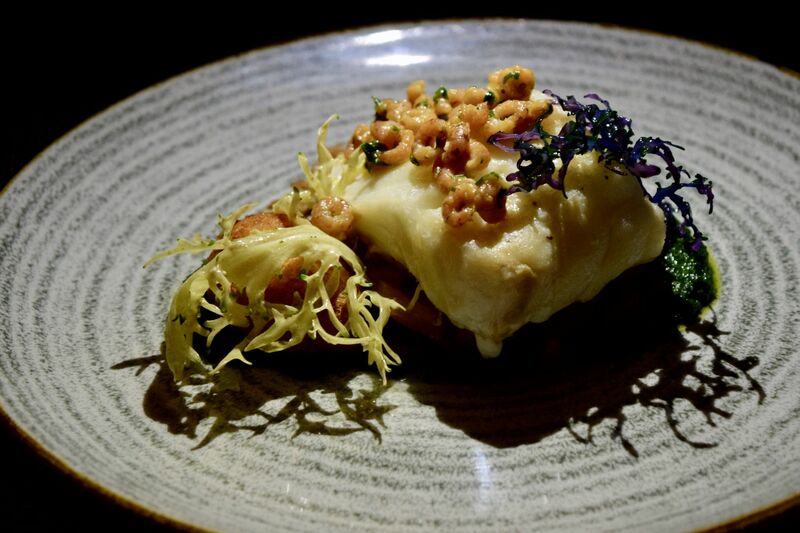 The Cod, Orange Braised Chicory, Brown Shrimp, Pomme Dauphine, Parsley & Chive Puree (£23) made the most of the hunk of fresh fish, which petaled into hunks of firm, pearly flesh. 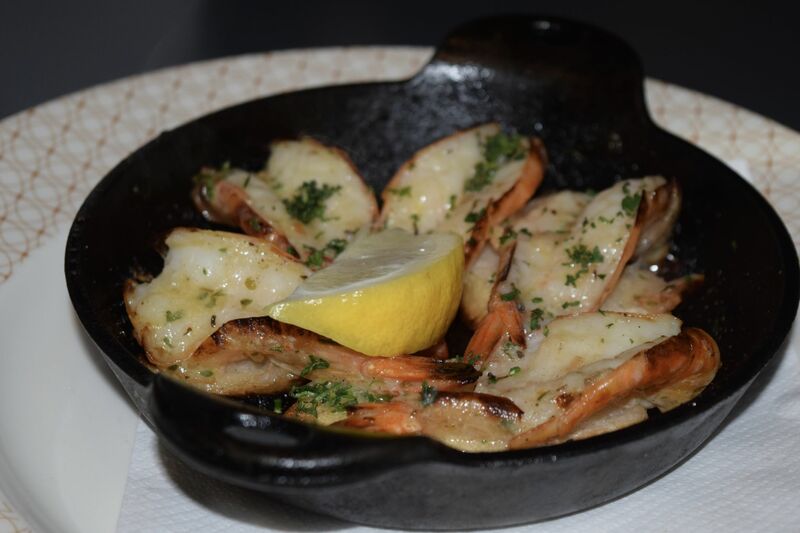 Topped with sweet Brown Shrimp, this felt like a dish fit for a seaside town. The presentation of all the dishes was right side of dramatic. With coloured leaves creeping over the dish, it was as delicious as it was beautiful. 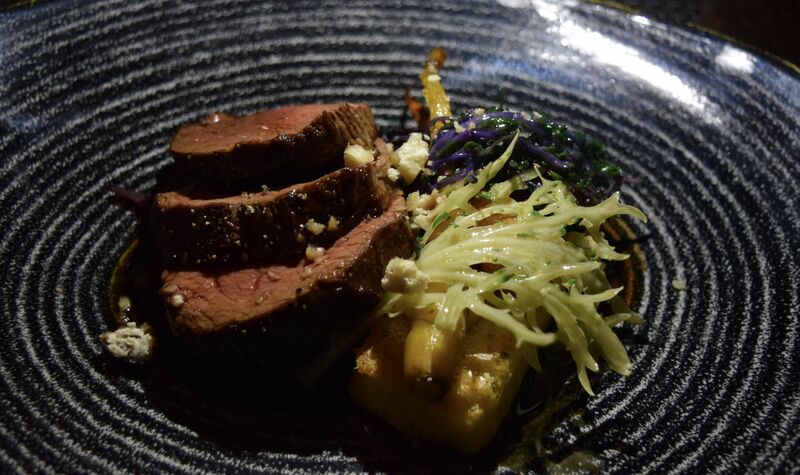 I couldn’t resist the Roasted Venison, Grilled Herbs Polenta, Heritage Carrot, Braised Red Cabbage, Chestnuts (£23). I’m having a bit of a love affair with the meat at the moment, and this was sheer perfection. 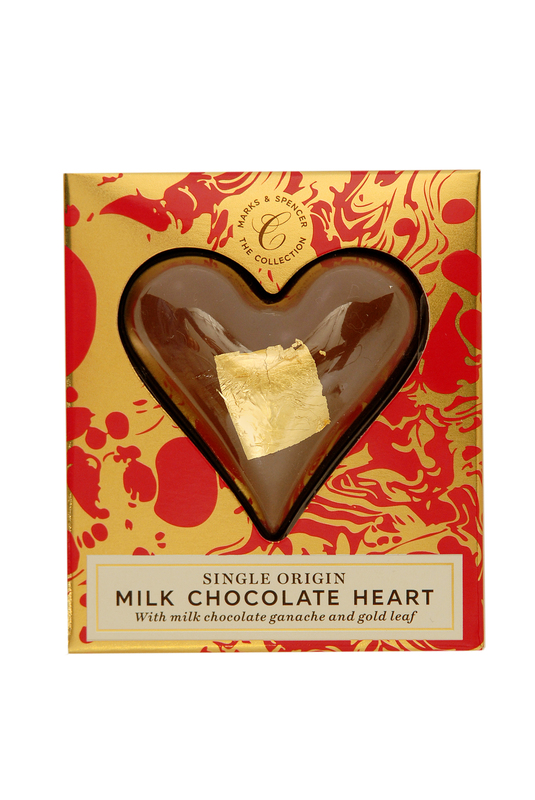 Roasted on the outside, whilst perfectly rare in the centre, it melted in the mouth. As if the venison wasn’t perfect enough, it was served alongside the most wonderful Grilled Herb Polenta – crisp on the outside, and buttery smooth on the inside, it was an absolute joy of a pairing, soaking up the meat’s juices and providing a wonderfully rich element to the dish. 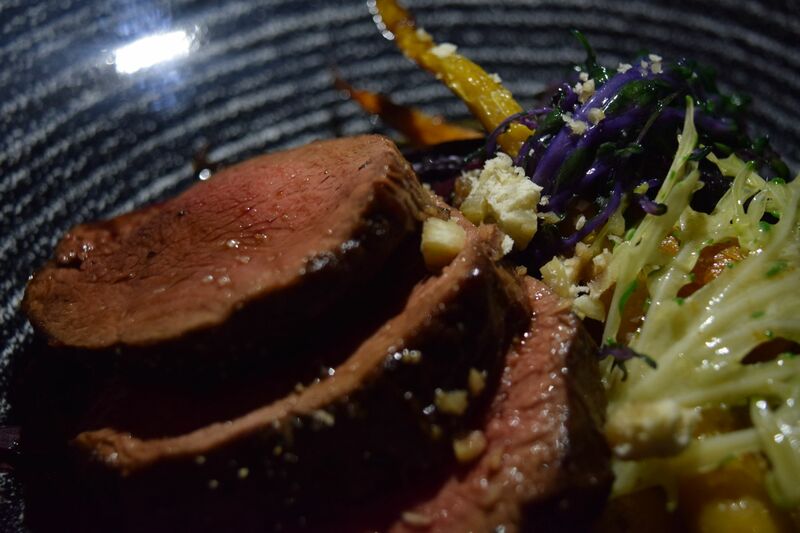 In addition to the wonderful venison and polenta, the dish featured sweet heritage carrots and braised red cabbage. It felt like it was all my favourite things on a plate, which combined to create a dish inspired by the best of winter produce. 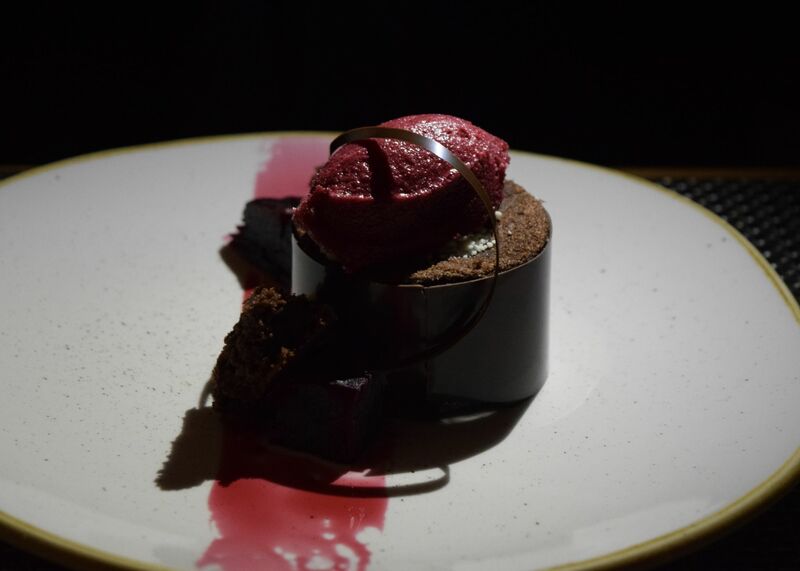 Even though we had indulged in two courses, when we caught sight of Pressed Beetroot, White Chocolate Bavarois, Dark Chocolate Sponge, Beetroot Sorbet (£8) on the dessert menu, we couldn’t resist! After all, when have you had the option to indulge in beetroot sorbet? 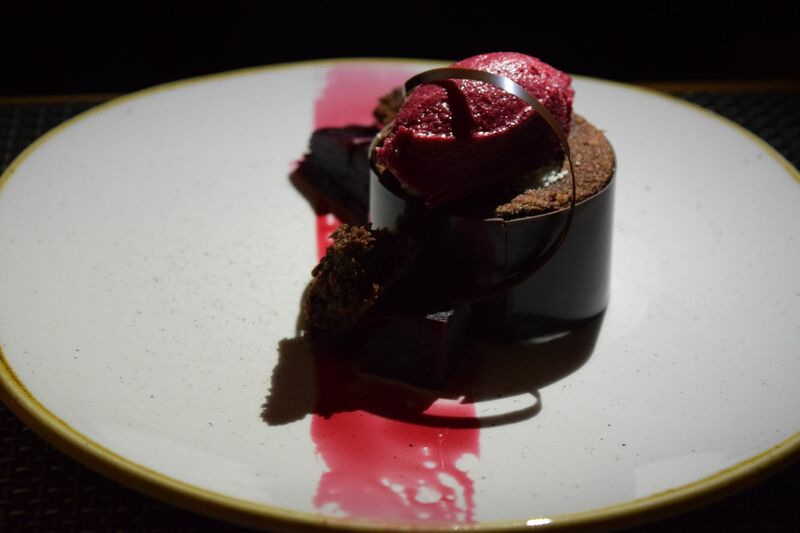 It was an absolute triumph of a dish – the sweet earthiness of the beetroot worked perfectly with the rich dark chocolate, and the combination of textures was just divine! The White Chocolate Bavarois leant a hint of sweetness to the overall dessert, and the crisp, tempered chocolate was delicious as well as incredibly beautiful! 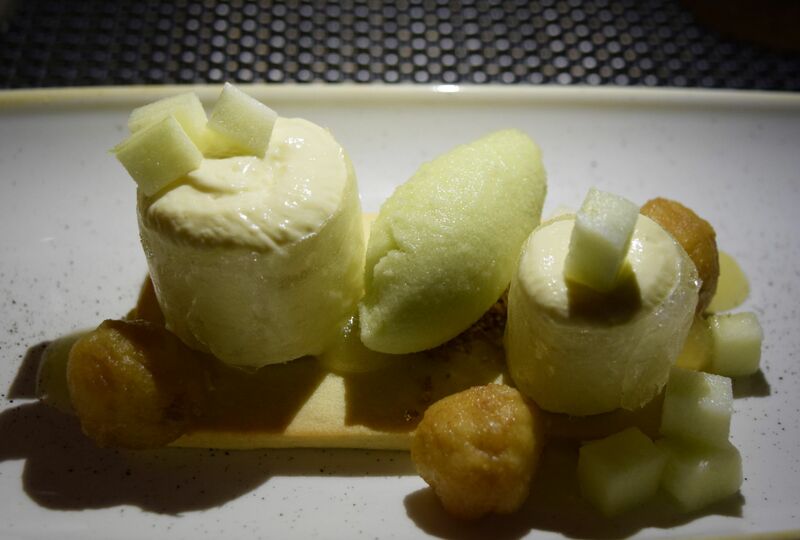 I opted for the Apple & Mascarpone Sugar Tuile, Apple & Basil Sorbet, Almond Shortcrust (£8), which although probably the exact opposite of the rich chocolate and beetroot pudding, was equally delicious. 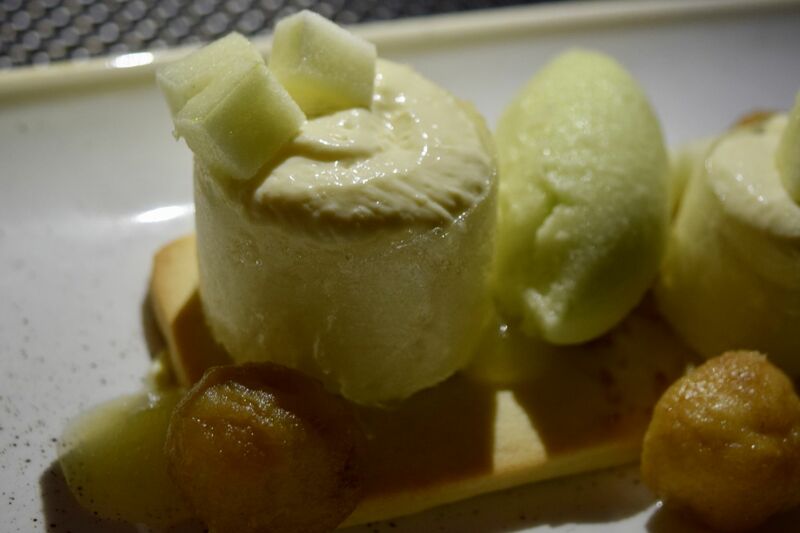 The Mascarpone was encased in the most beautiful sugar tuiles, and was so light and flavourful. 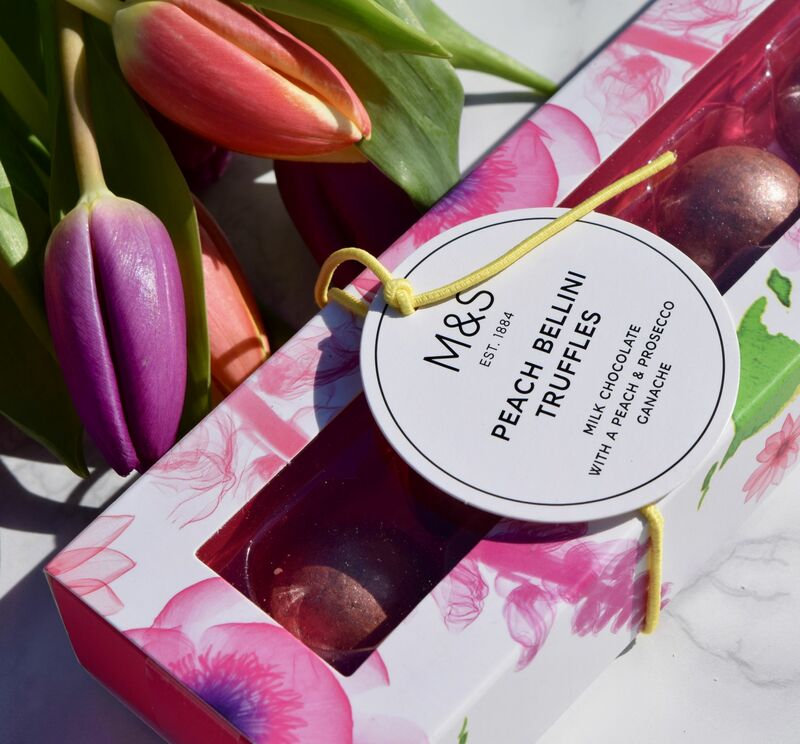 Apple and cinnamon is one of my all-time flavour combinations, and this was a particularly airy take on the duo. 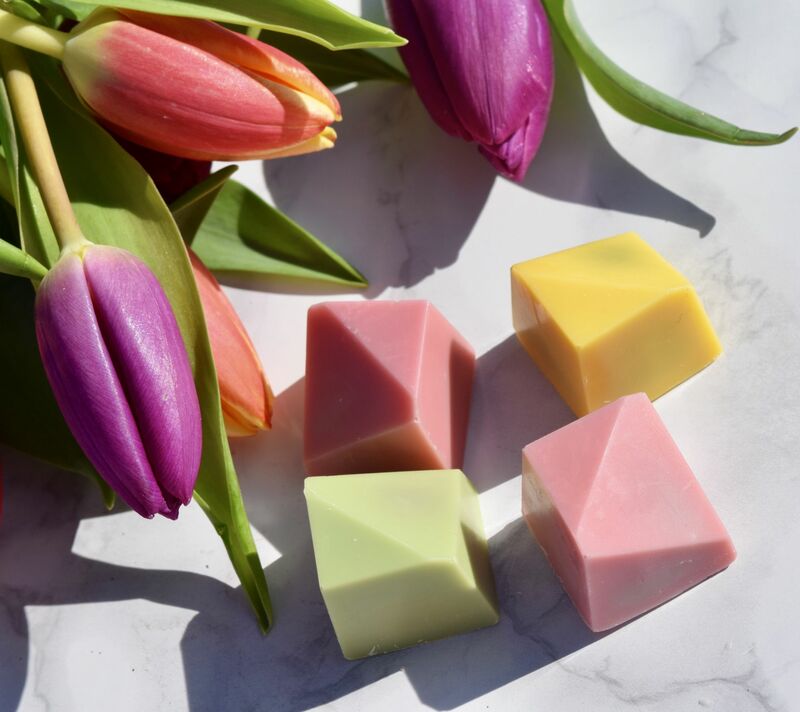 Cubes of fresh granny smith gave a hit of freshness, whilst the apple and basil sorbet was fresh and green. The dessert all rested on a buttery shortcrust base, and it was just perfect end to a delicious meal! It’s undoubtedly one of the best meals I’ve had in St. Andrews, ever, and we’re already planning a return visit! Thank you so much to Kinnettles Hotel for having us! You can find out more about the hotel and restaurant here. One of the most popular resolutions which people proclaim each year, has to be the ‘I’ll be healthier.’ It can encompass most things, whether it’s a new gym membership, new classes to attend, or even a healthier diet, but recently the rise of ‘Veganuary’ has been hard to ignore. Certainly, the appeal of nixing all animal products from your diet sounds appealing, but it also sounds tough. 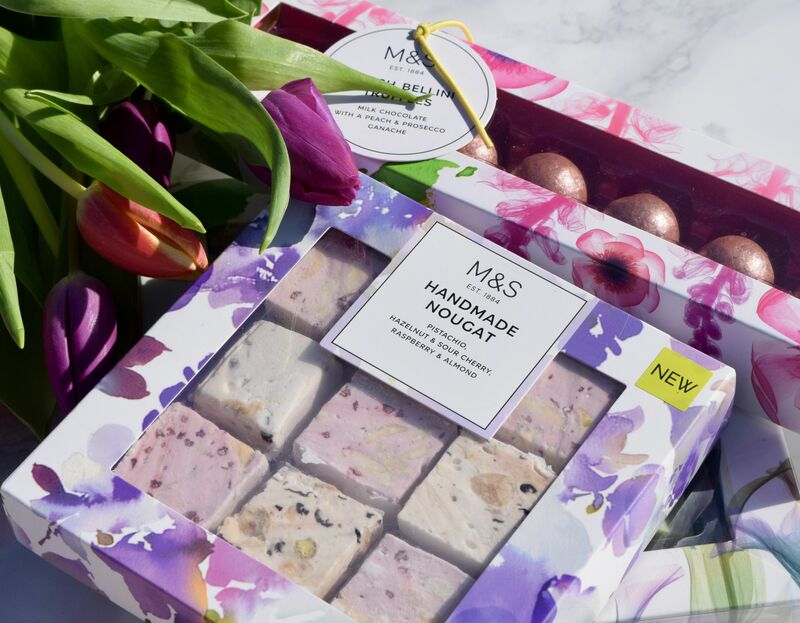 No meat means no quick ham sandwich for lunch, no juicy steak to enjoy at the end of a long week – not to mention no skimmed latte to start each morning off! 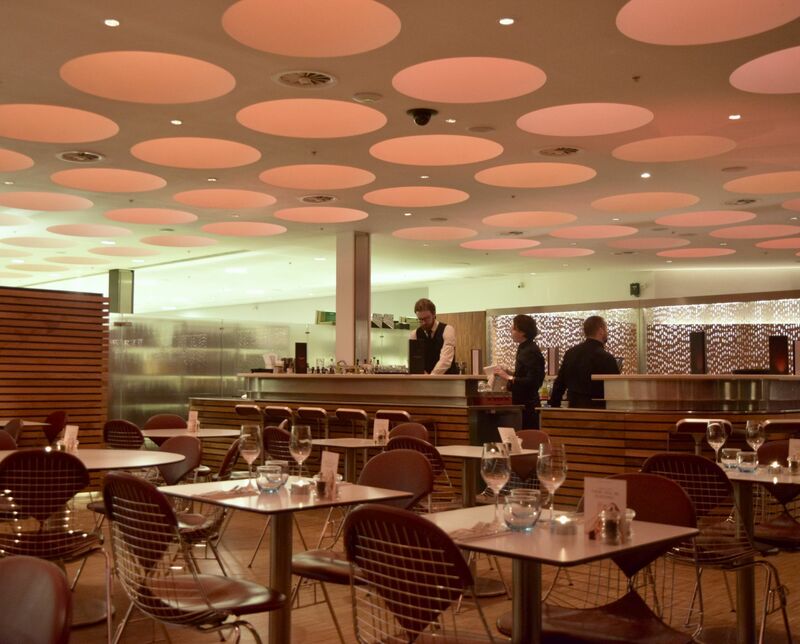 So, to make life easy, Harvey Nichols has introduced a new, completely Vegan menu which will be running all January. It’s a delicious affair offering a choice of salads, soups and main courses, perfect for treating yourself to (with absolutely no guilt!). We stopped in on a very cold, snowy night after work, desperate for some hearty dishes. I’m glad to say, we were far from disappointed. Still shaking off snowflakes, we were shown to a table with the best view in Edinburgh – St. Andrew Square below us, and the castle illuminated from afar, where we were able to choose our starters (Hummus, black olive and sun blush tomato salad with pita bread £7 and Chunky winter vegetable soup £6.50) and mull over the day’s events. I’m not sure if it was the cold, or simply how ravenous we were, but I completely forgot to take any photographs of the starter! My enthusiasm for getting stuck in meant we were a good 3/4 of the way through when we noticed my camera sitting there on the table untouched … oops! Despite my lack of evidence, both dishes were divine. The Hummus was light, and flavoured wth lemon, whilst the pitas were soft and warm, and the whole thing was just delicious. I had chosen the Chunky Soup, and it was exactly the sort of thing I was in the mood for – piping hot, and absolutely chock-full of tomatoes, courgettes and all other sorts of vegetables, it was served with freshly baked bread, and was a perfect antidote to the freezing temperatures outside. After forgetting to photograph the starters, I hovered over the mains until they were suitably documented! 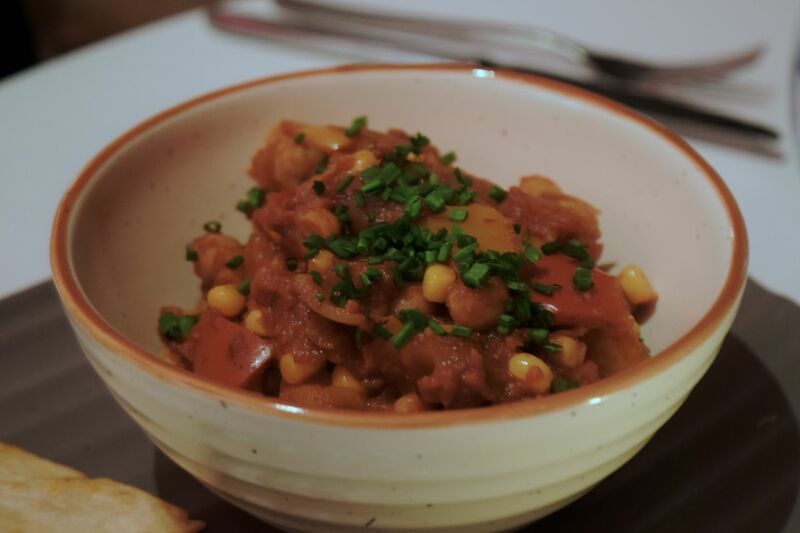 Vegetable and Chickpea Chilli was served with Guacamole and homemade Tortilla Chips (£11) and was another delicious choice in cold weather. 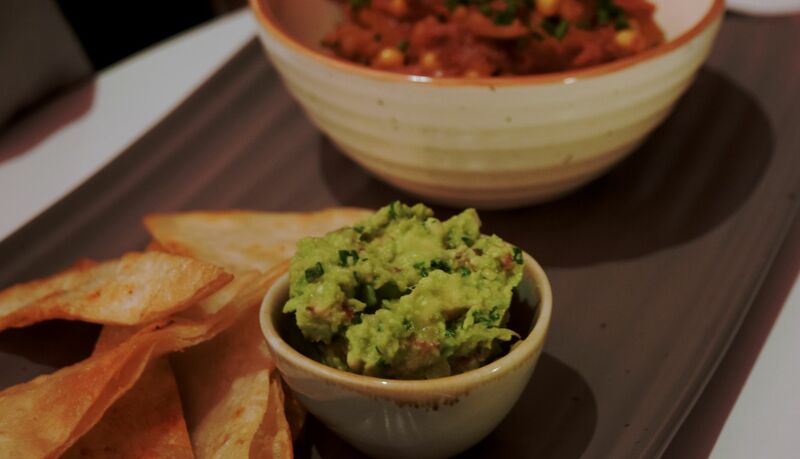 The mix of tomatoes, chickpeas, peppers and sweetcorn was delicious, and suitably spiced, whilst the homemade tortilla chips and guacamole were a delicious accompaniment. It’s a dish I’d never even imagine could be vegan (my own guacamole is usually about 1/2 sour cream) but I didn’t miss any of the animal products, so it’s definitely something I’ll be recreating at home! 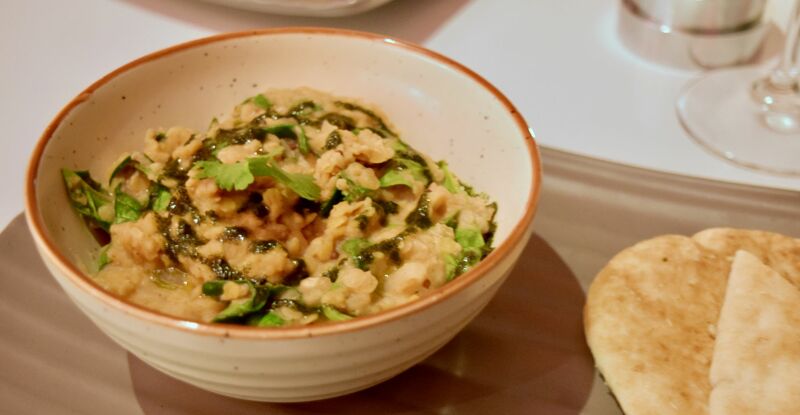 Since I’m going through a bit of a curry-kick at the moment, I wasn’t able to resistive Lentil and Spinach Curry served with a Garlin Pitta Bread (£11). This was another absolutely knockout dish! For anyone who thinks vegetarian/vegan cook is boring, then they need a bowl of this to prove them wrong. 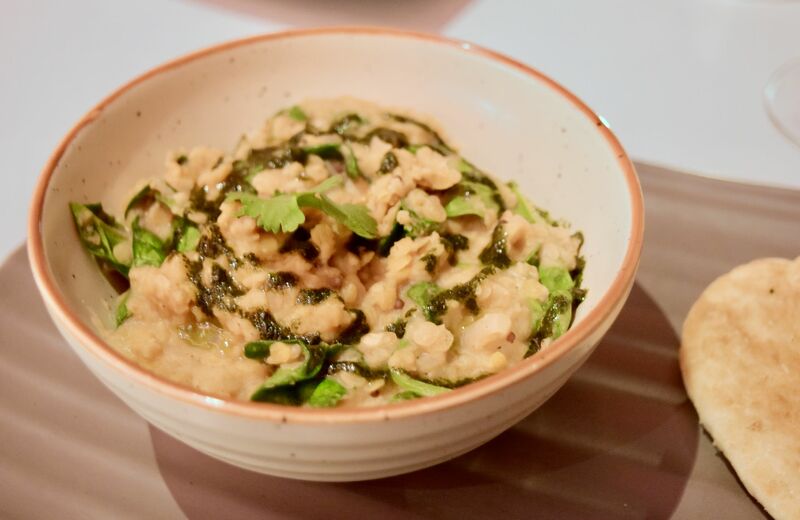 The curry was made up of creamed chickpeas, which had a delicious mint and coriander dressing, as well as fresh spinach mixed through. The different textures and flavours in the curry made it such a joy of a dish, and it’s another one I’m planning to recreate at home! Served alongside the yummiest hot, fluffy garlic pita you can imagine, this was exactly what I needed after a long day at work. I absolutely wolfed it down, and it was perfect served alongside a glass of vegan wine. 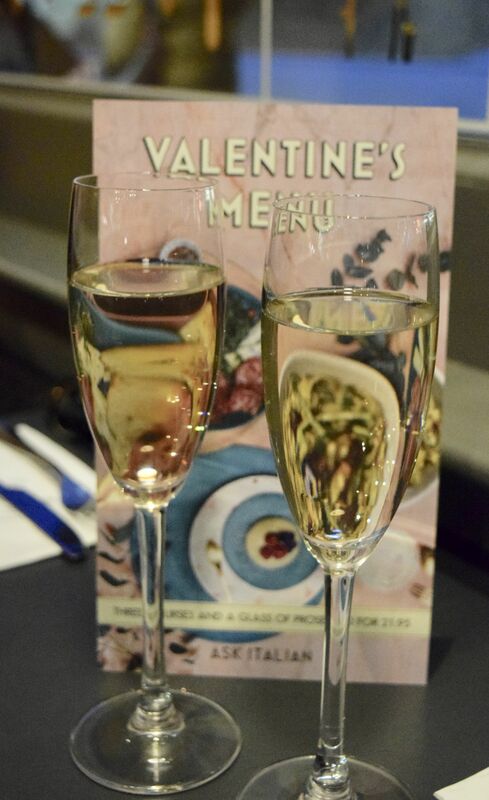 Yes – the menu even has completely vegan wines to choose from which you can order by the glass or by the bottle. 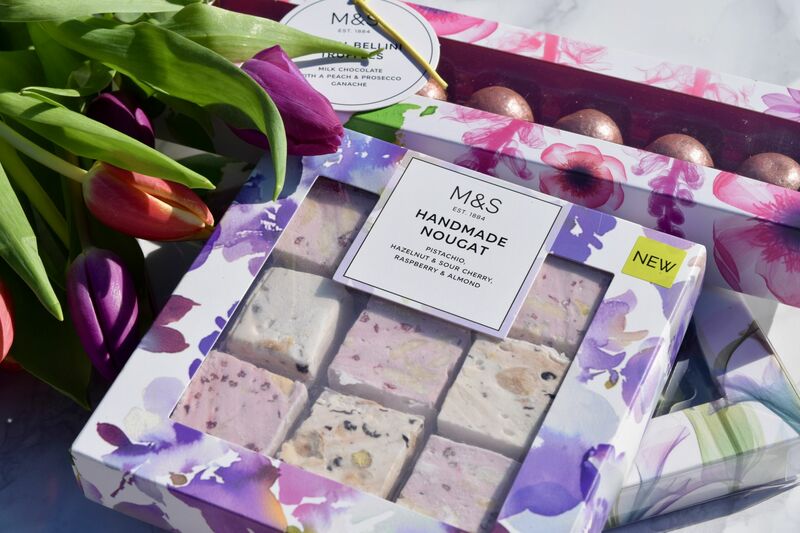 Whether you prefer white, red, rose or even sparkling, there’s a choice in there for you! We enjoyed a glass of the Primitivo (£9) a rich, fruity red and Garnacha Blanco (£7.50) a light, sweet white. I’m admittedly not a big wine drinker, but the Garnacha Blanco was a complete revelation – it was sweet and incredibly drinkable (which was dangerous considering it was a school night!). 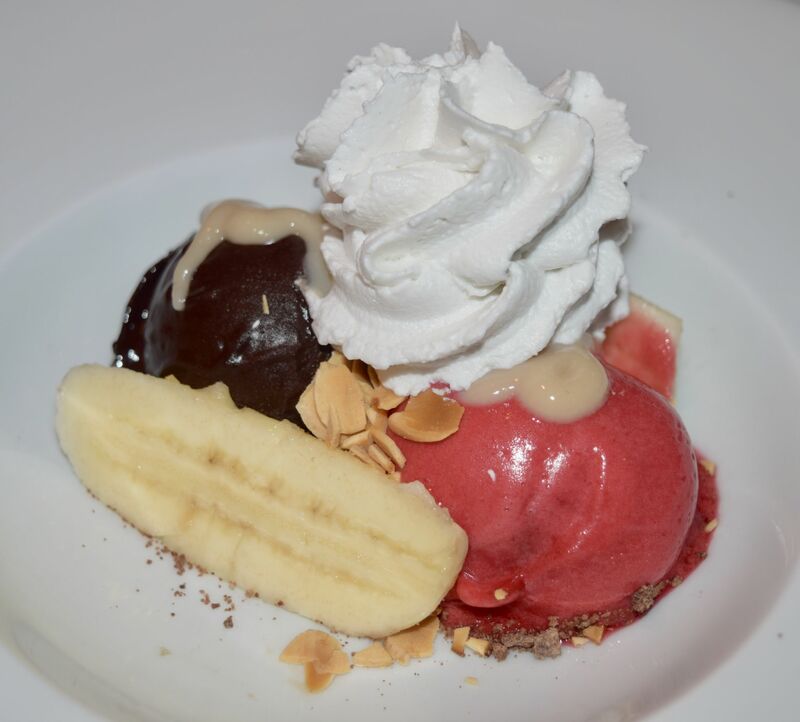 Even though we were absolutely stuffed from supper, when spied a vegan Banana Split (£6.50) neither of us could resist! What arrived was the cutest, and most delicious dessert you could imagine! 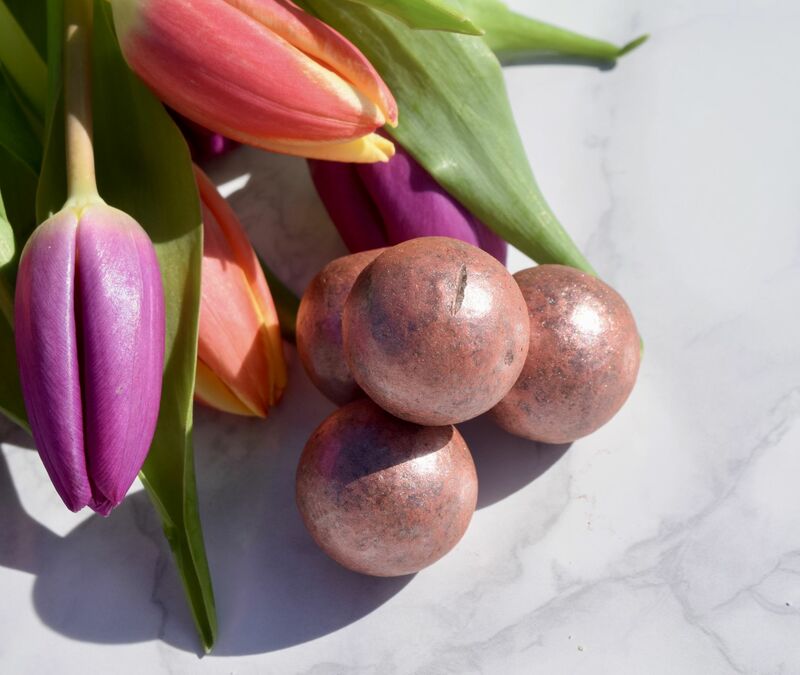 The vegan sorbets were absolute perfection – the raspberry was incredibly bright and fruity, whilst the chocolate was so rich and moreish! The coconut cream was wonderfully light and airy, and there was even a cherry hidden in the middle in there! It was such a delicious meal, and it’s really changed the way I’ve thought about introducing vegan dishes into my everyday routine! I’m already planning a return trip! 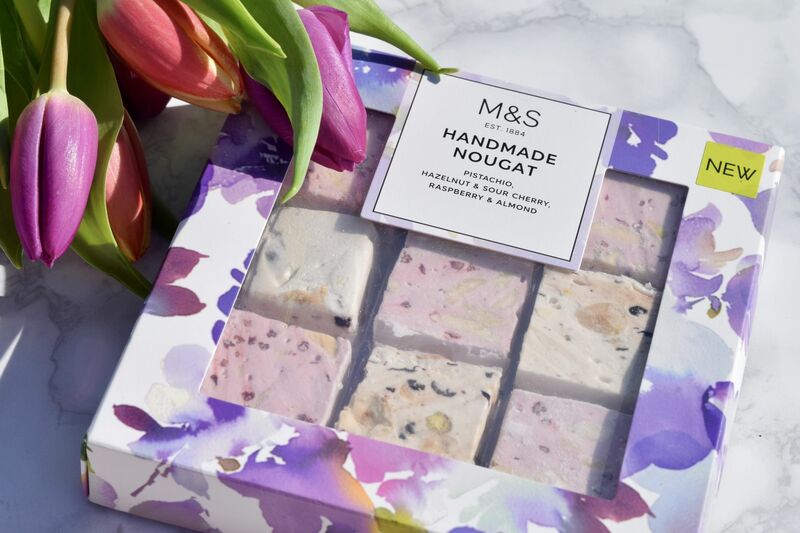 Information about Harvey Nichols Forth Floor can be found here.